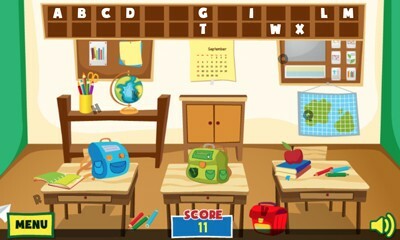 Description: Can you find the letters hiding in the alphabet classroom? 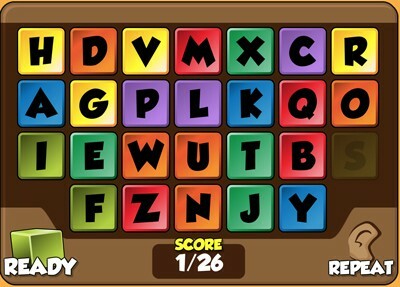 Find the letters and drag and drop them to the correct order in the alphabet chart at the top of the screen. Make sure you check cabinets, drawers, and backpacks as your elusive letters can be hiding anywhere! 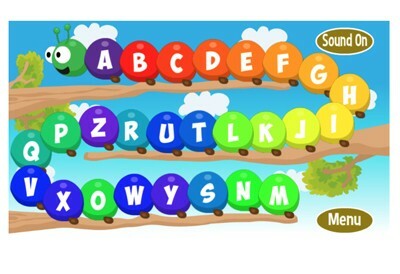 Description: The ABC-a-Pillar wants to learn the alphabet and the alphabet song! Re-arrange his segments so that the ABC song can be sung in its correct order. There are two skill levels. For ages 2-3, the letters show on each segment, and for ages 4-5 the letters do not show. 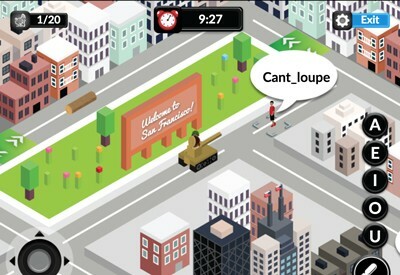 Description: Simply click "play" and choose game play options. When you hear the voice call the name of a letter, click on the correct letter. See if you can correctly select all 26 letters. 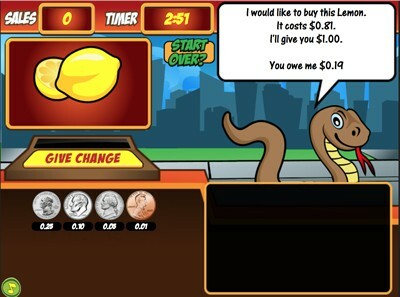 Description: This video will show you how to use Letter Quest. 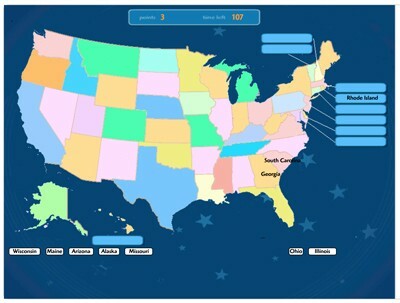 Description: These interactive ABC Order exercises are perfect for elementary school students. 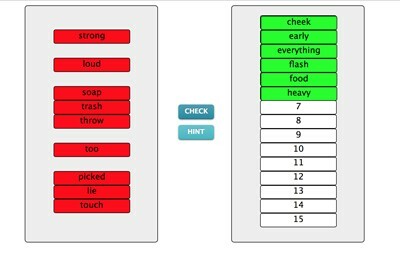 Simply choose a word list from those provided and then select individual words, or, have the program generate random words from the list. 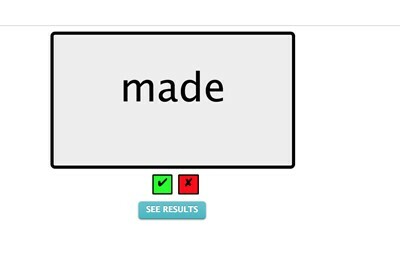 Students must drag and drop the words on the left to their correct ABC order positions on the right. 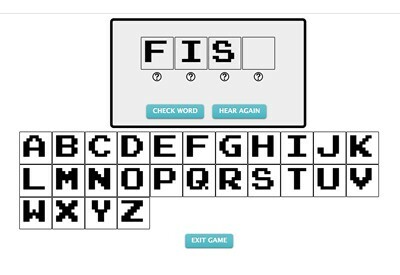 The "hint" button will help students focus on the first letters of similar words. Teachers and parents can also generate and save their own lists words for students to use in ABC order practice. 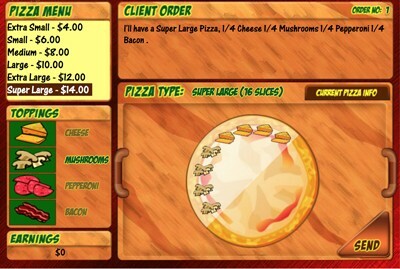 Description: This video will show you how to use ABC Order Workshop. 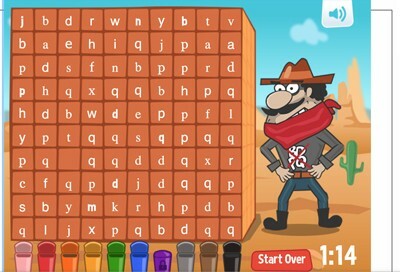 Description: Perfect for kids with letter reversal, this game helps to reinforce the identification of lower and upper-case Bs, D's, P's and Q's as students face off against an angry bandit trying to foil their efforts. Description: This video will show you how to play BDPQ Bandit. 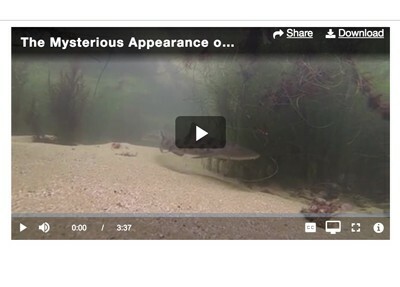 Description: Simply click "play." 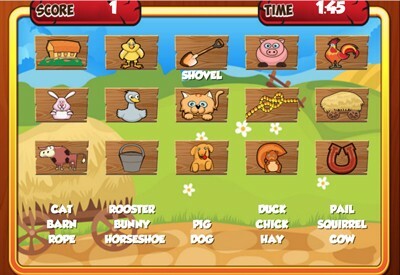 When you hear the voice call the name of a letter or number, bash the correct letter or number with your digital hammer. There are 35 rounds, one for each letter and number 1-9. 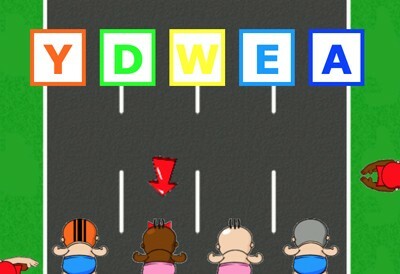 At the end of the game, you can see which letters and numbers you need to practice. Get all 35 and earn your gold medal certificate. 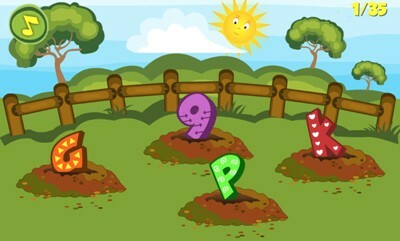 Description: This video will show you how to play Bash a Letter or Number. 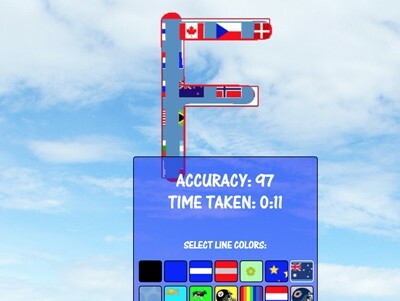 Description: n Letter the Sky, students draw letters using their touch screen or mouse. The game is outstanding practice for young writers as "smart" arrows guide each letter stroke in its correct order. Students can choose to write the entire lowercase or uppercase alphabets, or specific words or letters. Students can use different color "highlighter" strokes for each letter and the program determines accuracy by the number of times the student traces outside of the guidelines. All student letters (including alphabets)can be printed out on a single page. Description: This activity allows students to make their own letter posters by choosing and coloring pictures that start with each letter. Students can save their work at any time. The end-product poster prints out beautifully! 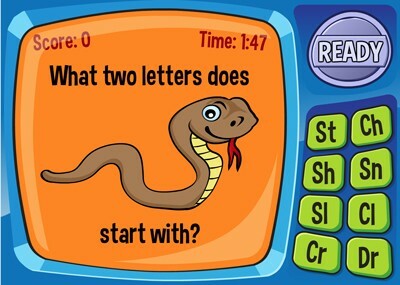 Description: How well do you know your alphabet? Choose and name your baby and then race to the finish line by dragging and dropping the correct letter block to the question mark block in alphabetical order. Be careful! The wrong letter block will slow you down and sometimes cause tantrums. Defeat all of the other babies and earn your golden pacifier! 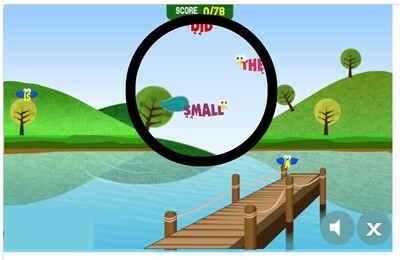 Description: This is a specially designed hangman game that includes idioms and proverbs. Very fun! 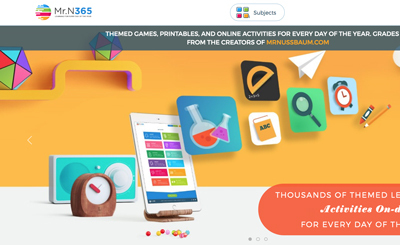 Description: This cool program is designed to be used by a teacher and parents with a student or child. 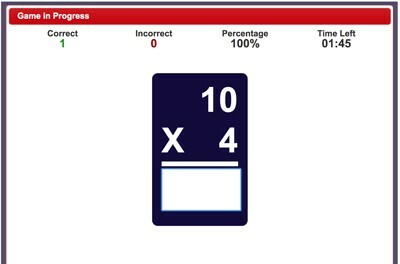 As the child reads each word that appears, simply check the green or red box for correct or incorrect. You can print a performance report at any time. Choose from a dozen different sight word lists and even make your own list that can be saved and used later. Description: Oh No! It’s a Wordquake! Drag and drop the labels that have been mixed up by the wordquake back to their correct pictures. 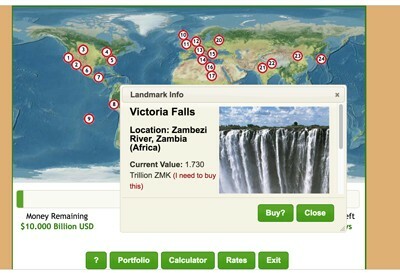 Click or touch the green “ready” button when you want to start. There are two rounds. You have two minutes to complete each round. 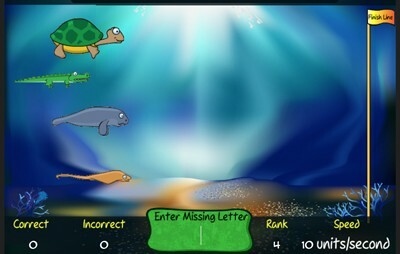 Description: This fun game allows students to choose one of four Everglades marine animals (turtle, manatee, crocodile, sting ray) to race against the others through the Everglades using nothing but his or her spelling skills. 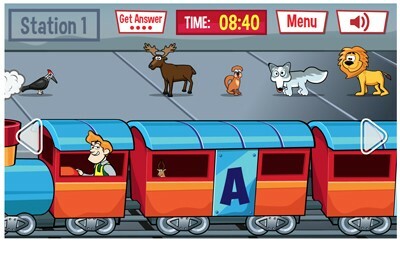 Students must identify the word that appears and then click its missing letter to move the chosen animal forward. 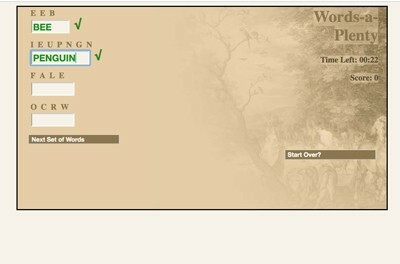 For example, for the word tom_rrow, students would click the "o" button. 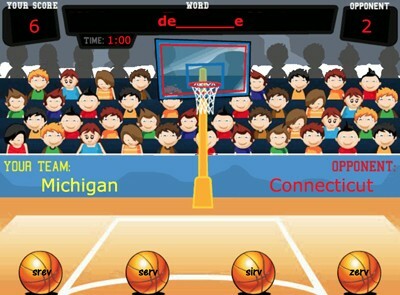 Description: Do you like the NCAA Basketball Tournament, commonly referred to as “March Madness?” If so, this game is for you. First choose your team. Then, use your word recognition and spelling skills to click on the basketball that completes the word at the top of the page. Choose correctly and you’ll hit a basket or three-pointer, choose incorrectly or too slowly and your opponent will score. Be careful, though, each round gets progressively tougher. You will have to be an expert in word completion to win the National Championship. 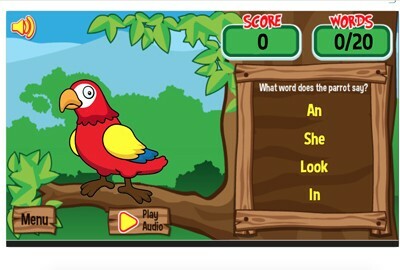 Description: This super fun game requires students to unscramble as many words as possible in three seconds. 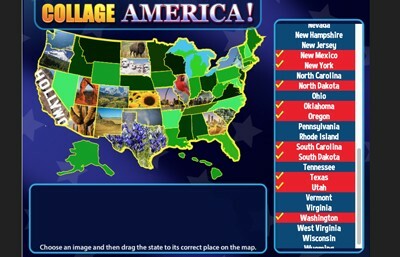 They can choose from nouns, animals, and geography, in easy or hard modes. Addictive! 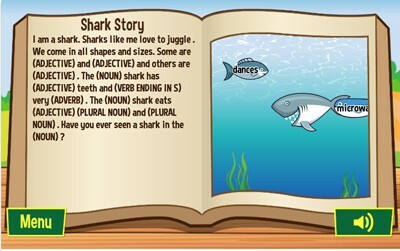 Description: Create a hilarious story using your knowledge of nouns, verbs, adjectives, plural nouns, and adverbs. First, choose the shark story or the farm story. 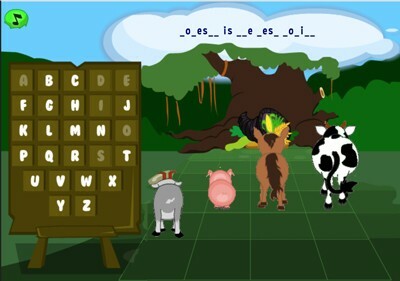 Create the story by catching farm animals or eating fish labeled with a word that matches the part of speech in the story. Move your character by clicking or tapping on the screen where you want the character to go. When you are finished, print out the story.